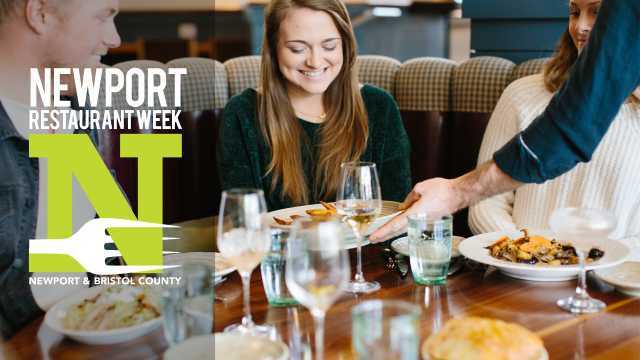 Newport Restaurant Week, part of a nationwide movement, debuted here in 2006 as an annual event to encourage both residents and visitors to Newport and Bristol counties to experience the vast culinary talent in our destination at an affordable price. Today, Newport Restaurant Week takes place both in the spring and in the fall with more than 50 participating restaurants offering extraordinary two-course prix fixe lunches for $20, three-course prix fixe dinners for $35 and a three-course premier prix fixe dinner for $50. Our Spring Restaurant Week is April 5th - 14th, 2019. Explore participating restaurants and their menus listed below.